The inter-relationships of groups, and activities and individuals in the Roaring Fork, Frying Pan, and Crystal River Valleys always amazed me. There is a thread of unity that runs through all of us who have chosen to stay and live here. There is a bond that transcends ethnicity, or ancestry or belief system. It is the awareness that says that this is a special place with unique needs, and it is the confidence that says that if we listen to our inner voices, we, together, can preserve the integrity of our special places. In the spring issue of Alice, we reviewed the history of the Crystal River and the work being done to keep the Crystal River wild — with no dams (or impoundments) on the main stem of the Crystal and no diversions of our precious water out of the watershed. People who choose to live in the rugged, beautiful, geologically challenging, historic, and environmentally special places of western Colorado have a responsibility to preserve not only our unique culture and history but also our delicate and sensitive environment. When I taught at Carbondale Union High School, students were responsible for hand-written reports, and I would sit by the river where the KOA campground now exists to read, comment on, and grade papers. When I first experienced Redstone, the community was committed to protection of that special place, the historic sites, the quality and quantity of the water in Coal Creek and the Crystal. Redstone’s identity today is shaped by the commitment of its residents and of the people who might not live there but whose lives were touched by the magic of that place. The remnants of the Mill in Marble, and the opportunity to visit the quarry that furnished much of the material for the monuments in Washington, D.C. provided a glimpse of a time that history books can not evoke. Mines that produced coal for the steel mills in Pueblo and ranches that once produced potatoes adapted to the changes in lifestyles and needs. Coal Basin restoration projects continue to move forward with USFS direction. Ranches now produce grain fed beef. The rail right of way that carried ore from Aspen to Glenwood Springs now contains a trail that connects people and communities and provides a recreational route for hikers and bikers. Aspen was a magic place with dirt streets and the Red Onion and the Opera House and the Jerome Hotel — and the beginnings of the Aspen Institute, the Music Associates of Aspen, and some of the world’s best skiing. And, the special people in all these special places knew when to laugh and play and work and dream and create and protect and adapt and accept and … grow in a way that respects our environment. Our communities are still growing. Predictions indicate a doubling of our population in the Roaring Fork valley. Creative art and a concern about land use and environmental sustainability direct many of our decisions and life styles now. I trust that we who are here today can “let it grow” in the best way we know. Just as the air and water and gardens of our communities need attention and care, we need to nourish and protect our special places. Right now, with the pressure from Colorado’s front range to “grow” and in western Colorado to accept the associated growth and demands of more people and more traffic and more needs for water and natural resources (we seem to be a society of “more”), we need to look to the lands around us so that we “let it grow” in ways that protect and preserve the special qualities and our special places. With all the non-profits, agencies, individuals, skill and information available to us, we should be able to “let it grow” so that 50 years from now, those who replace us will say we acted with care and commitment. 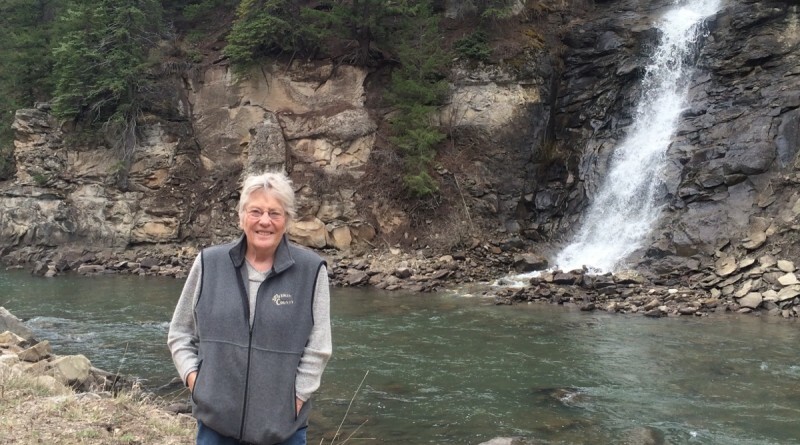 Dorothea Farris is a longtime Roaring Fork Valley local. Her many lives have included work as a newspaper editor, a proofreader, a handwriting analyst, a weather reader for the airport, an activist and/or board member for educational, historical, environmental, wildlife, or political agencies and organizations.